Join us for this milestone commemoration as Anchorage Opera pulls out all the stops to mark its 55th Anniversary. 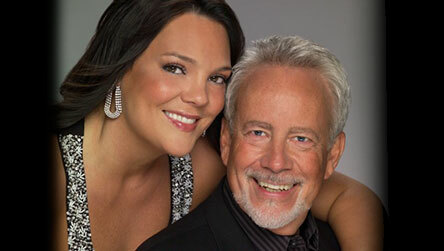 You’ll witness some of Opera’s Greatest Hits performed by renowned Guest Soloists, including international stars and dynamic husband and wife duo, Jake and Jill Gardner, powerhouse tenor, Dinyar Vania and rising mezzo soprano star, Sandra Piques Eddy, along with other guests and talented Local Artists. Starring the Anchorage Opera Chorus, Orchestra, special guests the Alaska Dance Theatre and more surprises! For TICKETS call (907) 263-ARTS (2787) or online Click Here! Senator Edward McCain recorded a video message giving thanks to Anchorage Opera for our production about the longest held POW in US history.